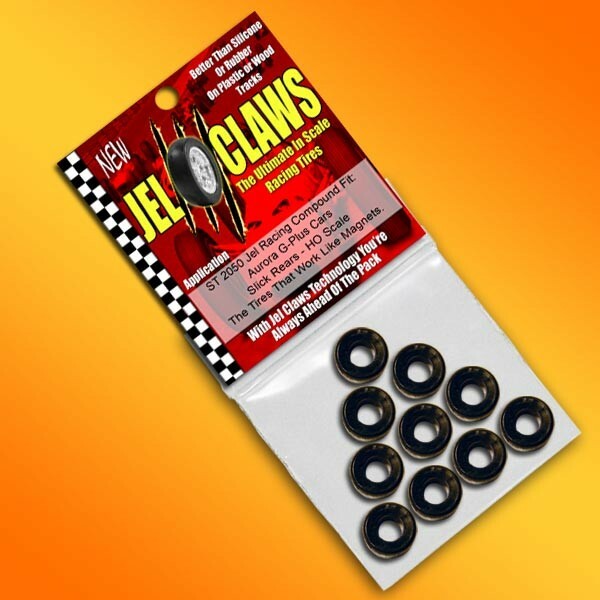 Jel Claws scale auto racing tires made exclusively with Jel Racing Compound fits 1/64 HO scale Aurora G-Plus cars, Rear Tires with Smooth Wheels, HO Scale Slicks. Better than silicone or urethane on plastic or wood tracks. The racing tires that act like magnets! Sold as a Set of 10 (5-pair).